The Economics Learning Center (ELC) is a learning resource that offers free walk-in assistance for UCI students enrolled in Econ 20A/B, Econ 100A/B/C, Econ 15A/B, and Econ 122A/B. 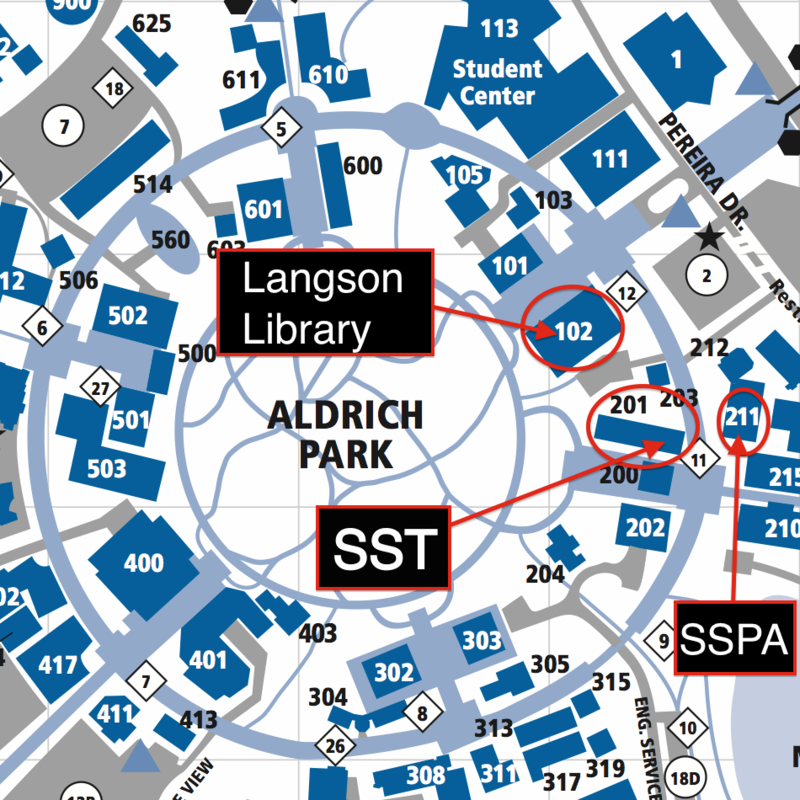 Or, for a more detailed map, check out this searchable UCI campus map. A place where students in Econ 20A/B, 100A/B, 15A/B, and 122A/B may join their peers to review lecture notes, discuss assignments, study for examinations, and in general, do economics. A trained staff of graduate Teaching Assistants (TAs) and undergraduate Peer Assistants (PAs) trained specifically to facilitate discussion and collaboration among students that use the Center. Arrive prepared. Come to the ELC with a plan for which topics you wish to cover or assignments you plan to work on. Bring your student ID. Everyone that uses the ELC must check in by swiping their ID through a card reader. Expect to work with your peers. The ELC staff is there to help, but — especially during peak hours — you should expect to use most of your time at the ELC working with other students in your class. Bring your lecture notes to the ELC. Class attendance is a requirement for using the ELC. Contribute to discussions. Do not expect to free-ride off of others. Be respectful to other students in the ELC and to the ELC staff. Only bring drinks that are in closed containers. Absolutely avoid eating food in the ELC unless it is provided directly by the ELC staff. Keep cell phone conversations out of the ELC. Please go outside if you have to use the phone. Keep the ELC clean by cleaning up after yourself. Please keep track of your belongings and throw away any trash before you leave. The ELC is staffed by graduate Teaching Assistants in Economics and undergraduate Peer Assistants who have distinguished themselves as excellent students in economics. If you have questions or comments about the ELC or if you have suggestions for how we can improve, please contact the Economics Department by email at: econ@uci.edu.